With strong themes of healing, comfort, hopefulness and remembrance, Willow Tree is a gift that people turn to in times of loss. Giving a tangible reminder of the people and memories we want to keep safe can be a comforting expression at a time when words are sometimes hard to say. 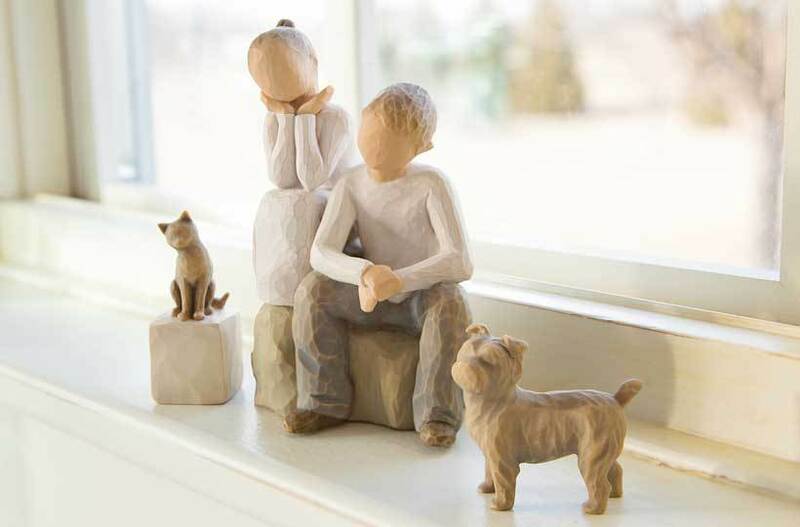 Willow Tree figures and angels are meaningful bereavement gifts, memorial gifts and sympathy gifts. Select among an offering of different size, scale and gesture, but all with similar intention and feeling.